Trucks are some of the most powerful and versatile vehicles on the road, and they’re a great vehicle choice for virtually anyone. Regardless of whether you’re a trades person who needs to transport lots of equipment and heavy tools and materials on a daily basis, or whether you’re someone who likes exploring the wilderness in your free time, a truck is undoubtedly one of the very best vehicle options for you. And even if neither of the above apply to you, buying one of the trucks for sale in Medicine Hat is still something to seriously consider next time you decide that you need to replace your current vehicle. After all, trucks are strong, powerful vehicles with plenty of space for both passengers and luggage, and they’re a lot of fun to drive. Take a look at our vast inventory of used trucks below or click here to view all of our 400+ vehicles. Can’t find what you’re looking for? We’ll find it for you and offer the same financing options. Contact Us. Many people falsely presume that the trucks for sale Medicine Hat has to offer must inevitably be highly expensive, but this is far from the truth. 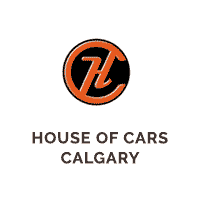 Here at House of Cars, we sell both new and used trucks at extremely competitive, affordable prices – and because we’re a well-established, reputable supplier, you can rest assured that our vehicles are of truly superior quality. For a lot of people, the big thing that puts them off the idea of investing in a truck is the fact that a quality sourced truck can turn out to be quite a hefty investment. If you don’t have the funds to either buy a vehicle outright, make a significant initial down payment or don’t have a great credit score, you may simply assume that tyou’re not able to get the financing you need. Here at House of Cars, the highly trained and experienced team at our Financing Department are determined to put an end to this assumption. The truth is that absolutely anyone, regardless of their credit score, can access the funding they need to get the vehicle they love – all it takes is a good knowledge of the various financing options which are available and a truck that fits your financial situation. When you choose us as your used car dealer, you’ll have the opportunity to work with a member of our Financing Department to come up with the very best financing solution for your particular situation so you can get the financing you’re after. Using our Credit Rebuilding Program, you’ll be able to ensure you pay back your loan on time – helping to grow your credit rating for the future! If you’re considering investing in a truck in the Medicine Hat area, you’ve come to the right place. All of our vehicles come with free CARPROOF, a mechanical fitness inspection and are checked to ensure they’re up to the highest standards of functionality, appearance and safety. And for maximum peace of mind, we offer comprehensive warranty options to account for absolutely anything that could go wrong, meaning that you can be confident you’ll be enjoying your truck for many years to come. Contact us today to find out more information or visit our Medicine Hat premises to take a look at the trucks we currently have for sale.